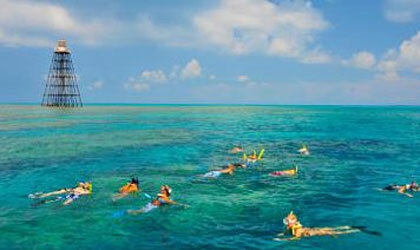 Having Fun for Yourself in in the Florida Keys! Getting Out there and into it in the Florida Keys! 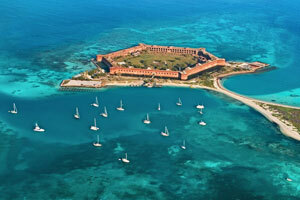 Get a Groupon for fun activities in the keys! This is an amazing selection of all kinds of fun activities! and... how about a spa discount? 1) Shipwreck Snorkel and Wild Dolphin Encounter in Key West - There is nothing liking snorkeling a shipwreck.-On the Key West Shipwreck Snorkel and Wild Dolphin Encounter cruise, you’ll spot dolphins playing and swimming along the boat, and you’ll snorkel over shipwrecks and coral reefs. 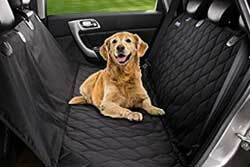 4 hour trip. The spacious catamaran offers plenty of room to relax, feel the sea breeze in your hair, enjoy light snacks and drinks, and have fun on the sparkling waters of Key West. Book it here! $95.59. Read more! 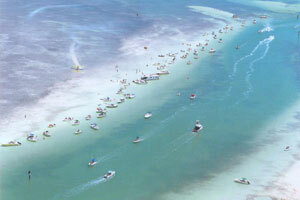 2) John Pennekamp Coral Reef State Park in Key Largo. The first undersea park in the U.S., John Pennekamp Coral Reef State Park encompasses approximately 70 nautical square miles. This is at the north end of the Keys in Key Largo! The coral reefs and their associated marine life are... life changing! Many enjoy the view of the reef from a glass-bottom boat tour, but visitors can get a closer look by scuba diving or snorkeling. This is a must! This is one of my favorite places in the Keys. Throw your anchor on a sandbank and party and drink beer! This is a time-honored tradition in the keys and it is hilarious. Every time you go over a bridge in the Keys you will see these sandbanks, caused by dredging so boats can go under the bridge. The water above the sand banks is about 2 inches, so people throw their little anchors a yard or two off. You can swim in with your dog. 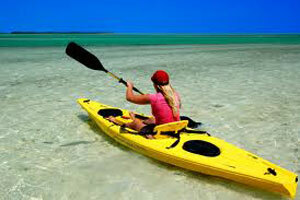 Paddle about and enjoy the warm water... you will still see little fishes and crabs and your dog will have a ball. And get out on the water! 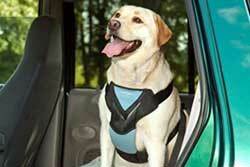 yes, your dog can get in the Kayak! Notice I keep trying to get you out on the water... it is so beautiful- the colors of blue so amazing, that I keep trying to find ways to get you out into that warm salty water. 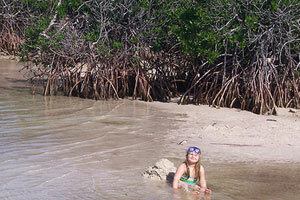 Our example: Key Largo Kayak Rental- they have mangrove groves in their purvue, which are fun to kayak thru. Their are rental agencies on all the keys. 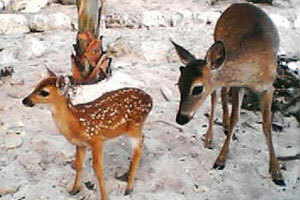 The National Key Deer Refuge headquarters is located on Big Pine Key which is 100-miles south of Miami and 30-miles north of Key West on Highway US-1. So... a bit further down into the Keys, but not all the way to Key West. This is a huge preserve, but it isn't hard to see the deer. 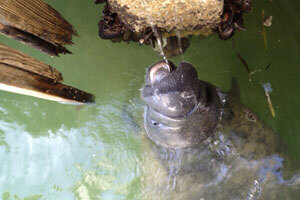 Watch for manatees around the docks. 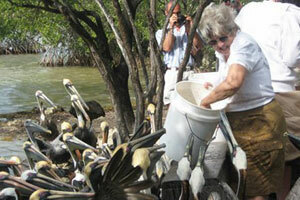 They come looking for fresh water, as the salinity in the Florida Bay has risen and they crave fresh water. 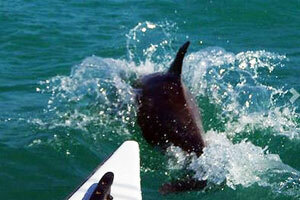 This one was trying to catch a drink from the hose we were using to wash the boat. Don't water them on purpose or try to attract them- we need them to distrust man and stay wild. They have no defense, and even tho they are huge they are less scary than a kitten. You can see lobster peeking out from under docks too... but remember, only in season! 11. Hire a Captain and Go Fishing! 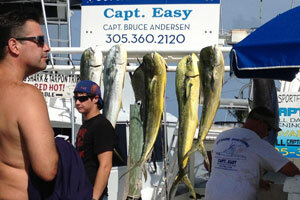 Dying to catch some dolphin (the mahi mahi type) and cook them up for your dinner? You can pretty much rely on success if you hire a local captain. 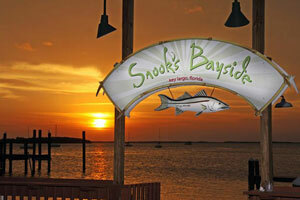 We use Bud 'n Mary's Marina in Islamorada, but there are captains for hire at other marinas all over the keys. We went out for half a day and caught enough for several dinners' worth of dolphin and still gave 3/4 of it away. Local captains make all the difference. You have to go pretty far out, so wait for a calm day if you have a delicate sea-stomach. 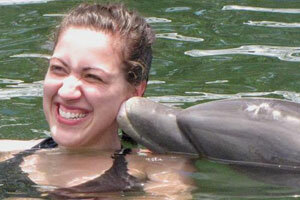 Most restaurants will cook up your dolphin for you. 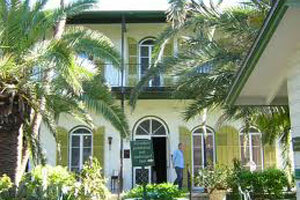 -No visit to the Florida Keys is complete without a stop on Key West. Did you read "The Old Man and the Sea" ? here is Hemingway's home...or visit the infamous Duval Street, -hotspot of partying and famous drinking establishments like Sloppy Joe's at the corner of Greene and Duval. Be forewarned: it gets pretty raucous at night!